Have I got a recipe for all you lamb lovers! Beckoning Spring at any cost, I thought a lamb recipe was in order to get us all geared up for birds chirping and tree blossoms blooming. 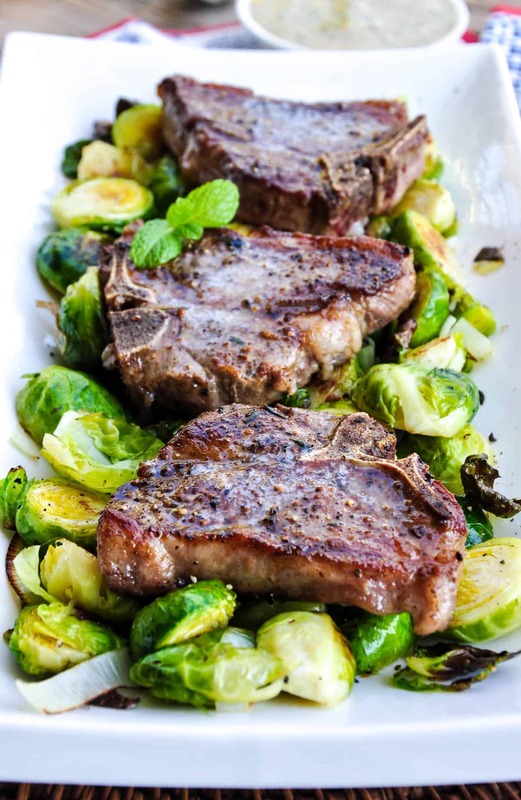 These tender, juicy lamb loin chops are perfect served alongside oven roasted brussels sprouts and dressed with a tangy mustard mint sauce. I know, I know! It’s hard not to drool. 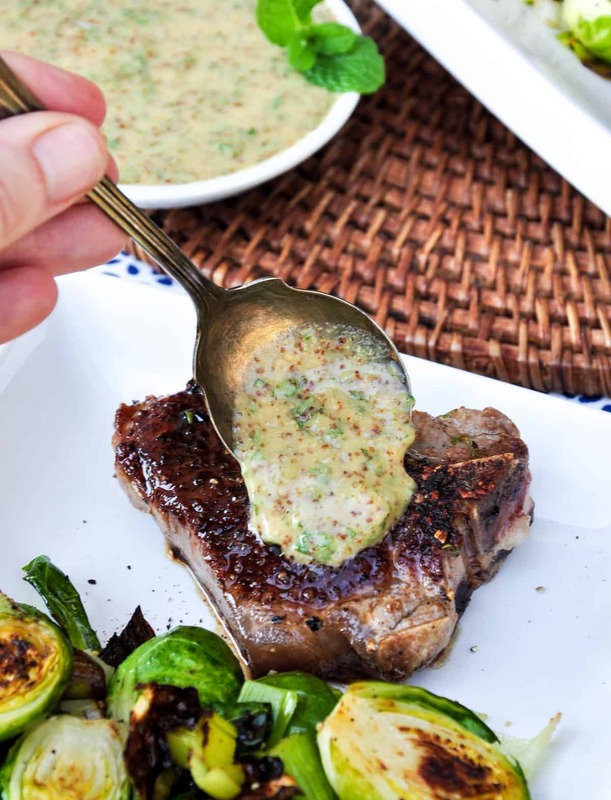 Seared in a super hot cast iron skillet, this dish only takes about 30 minutes from start to finish. 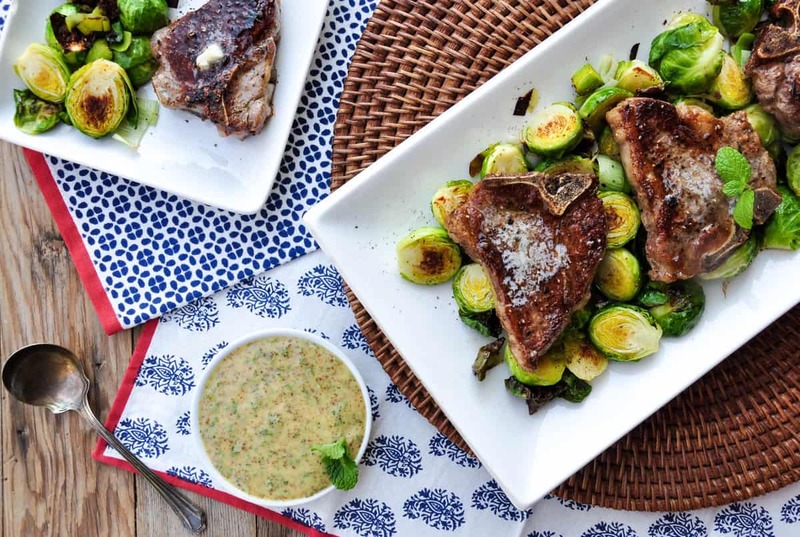 How’s that for a quick weeknight meal? 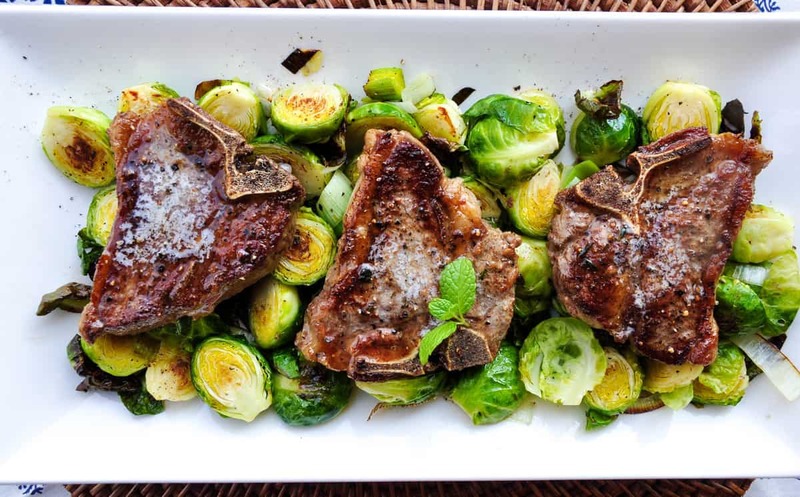 These lamb loin chops were plump, thick and begging for a liberal dusting of salt and pepper. I prepped the brussels sprouts by slicing them in half and adding a 1/2 cup of sliced leeks. Then I tossed it all with olive oil, salt and pepper and put it in a 450 degree oven for about 15 minutes. I seared the lamb chops in a super hot cast iron skillet coated in olive oil for about 3 minutes per side. 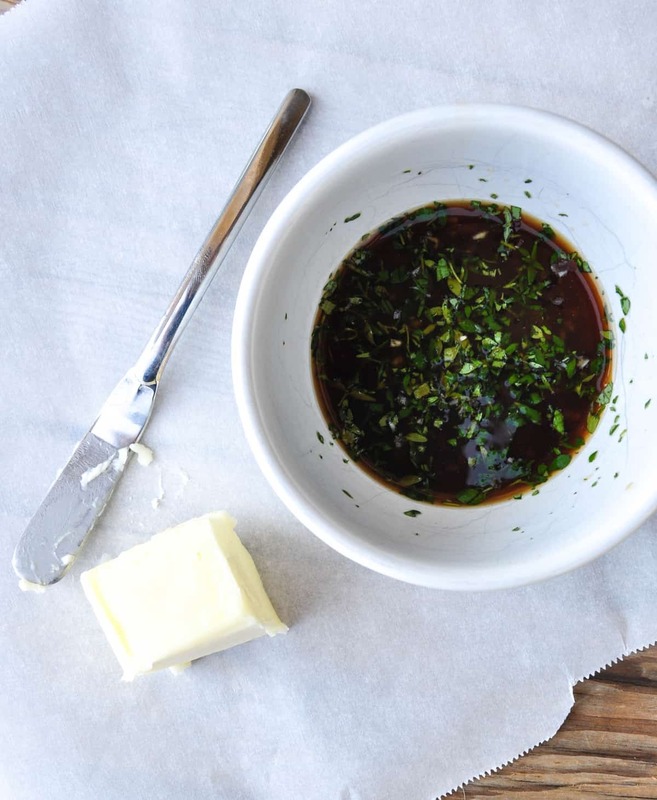 Then, I added butter to the pan and deglazed with a garlicky thyme beef broth and cooked just about one minute more. Allowing the chops to rest will allow them to continue to cook. 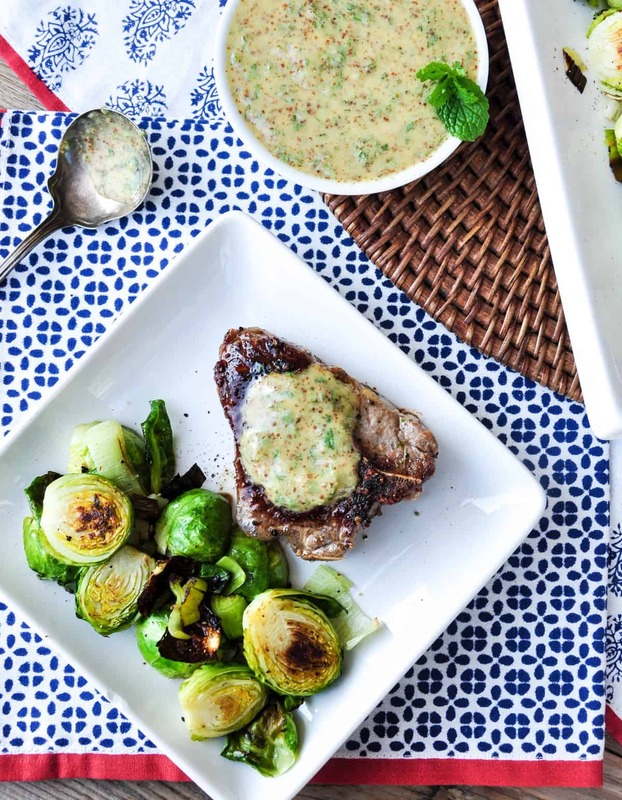 Once I served them up, I topped the chop with a healthy smothering of Mustard Mint Sauce. Somebody help me! 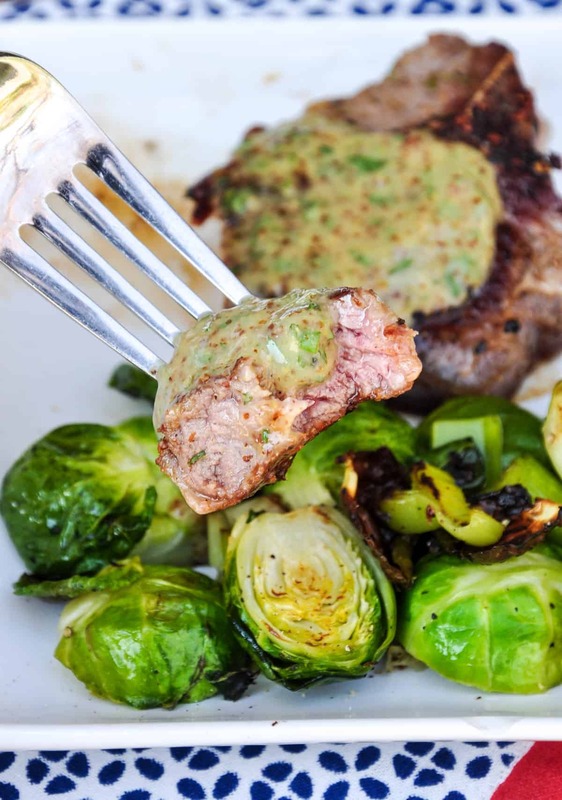 Serve it up this week or keep it in the menu arsenal for Easter! I’m positive it will be a hit! Preheat oven to 450. 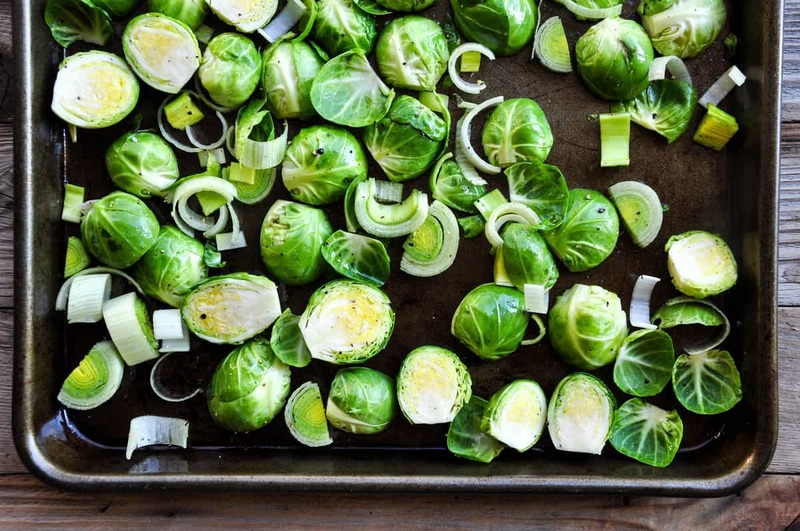 Toss the brussels sprouts and leeks with salt and pepper in the olive oil. Roast for 15-20 minutes until crisp and bright green. Add 1 T. olive oil to a cast iron skillet and heat to super hot. Add 4 lamb loin chops to the pan. Let it sear for about 3minutes without moving. Turn over and sear for an additional 3 minutes. Add half the butter and half of the broth mixture. Cook about 1 more minute or until desired doneness. 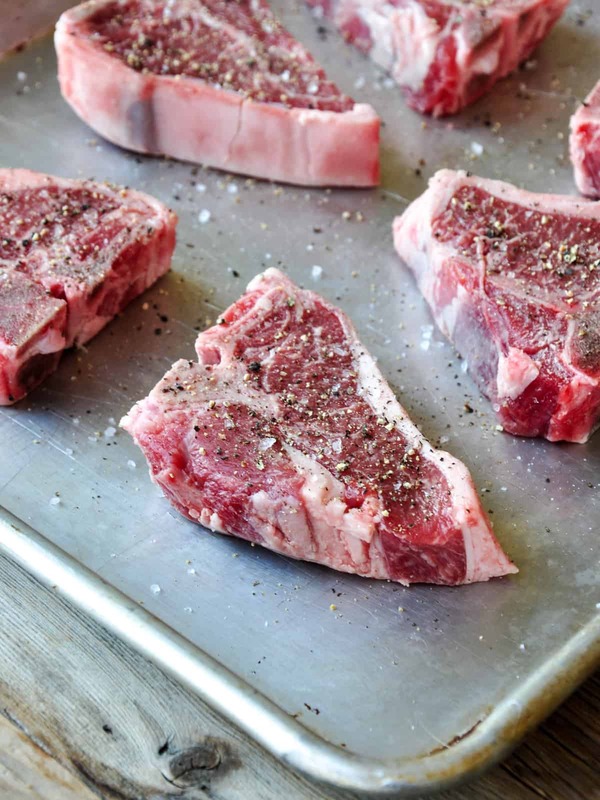 Cook the other batch of lamb loin chops in the same manner. 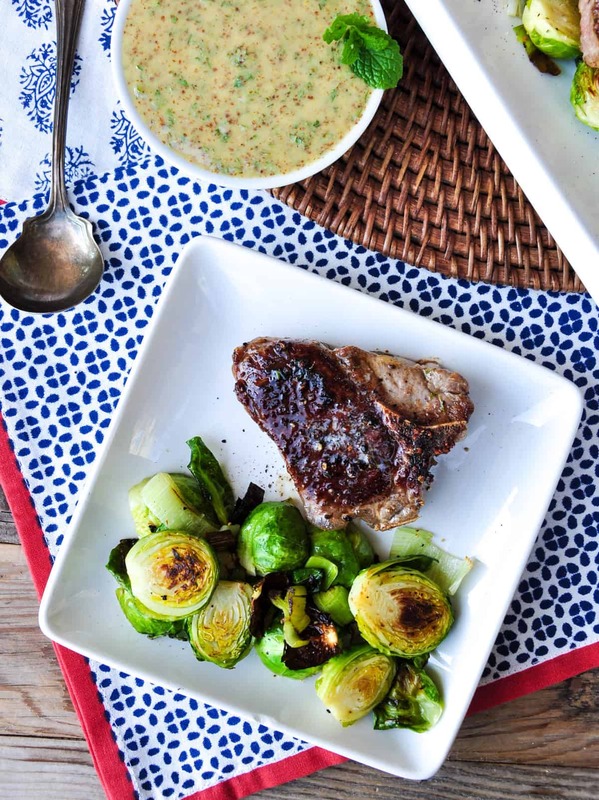 Place the brussels sprout on a platter, top with the seared lamb loin chops (top with a little butter if desired) and serve alongside the Mustard Mint Sauce.